CIRCA 1919 - Soldiers march through the French countryside. 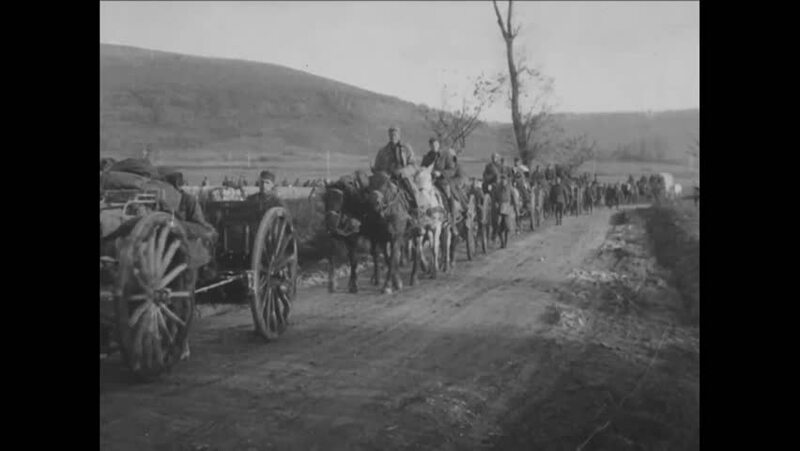 hd00:50CIRCA 1919 - German civilians buy horses at an auction put on by the US Army. hd00:241940s: Snow covered houses in small village. Three people walk across snow through village. Lighthouse in snowy landscape. hd00:48CIRCA 1940s - A soldier recounts German and Russian prisoners of war in France after fighting the Germans in the Falaise Pocket during WWII. hd01:36CIRCA 1910s - Soldiers dig trenches in the winter at Camp Sherman, Ohio. hd00:33CIRCA 1945 - The 10th armored division joins the 44th infantry at the Danube river to fight the 1st German army (narrated in 1965).